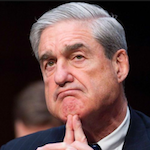 A history of the post-World War II decades, during which an activist federal government guided the country toward the first real flowering of the American dream. The aim of The Gifted Generation is to make a reader ask what has been lost, and why … Goldfield...has a romantic view of three presidents who, apart from having been reared in rural America, could not have been less alike … The book that Goldfield set out to write, and finally did write, makes its case. You do not have to be Bernie Sanders to be concerned that among the 21 wealthiest nations, the United States ‘is the only country in which sick days are not required by law.’ On the other hand, it’s not useful to assert that life expectancy in the former East Germany is higher than in the United States … Goldfield is right to point to the risks of government’s increasingly recessive role, and to make one worry how it will play out by the time the millennials become grandparents. The Gifted Generation is a sweeping political and social history of America from the end of World War II to the present. It is told from the perspective of three presidents, Harry Truman, Dwight D. Eisenhower and Lyndon B. Johnson … As Goldfield shows, government was the key that made America a colossus in the world economy and the generator of a robust middle class … The book recounts a phenomenon that many Americans have never experienced and don’t believe is possible — a government that works. There are two dominant threads in this narrative. The first is the story of the civil rights movement from the perspective of the presidency...The second narrative is about economic progress and the government’s remarkable role in creating the post-World War II economic prosperity. Goldfield is a skillful storyteller. He enlivens his narrative with anecdotes drawn from the experiences of ‘ordinary’ Americans from the ‘gifted generation’ who benefited from the New Deal, the Fair Deal and the Great Society … Although some historians will find his account of the activist years too celebratory, too focused on change from the top down and too inclined to give presidents (especially Dwight Eisenhower on civil rights) more credit than they deserve, Goldfield’s interpretation does not depart from the conventional wisdom of professional historians … The Gifted Generation does not provide a definitive answer to an important question: Under what conditions does more government produce good government? 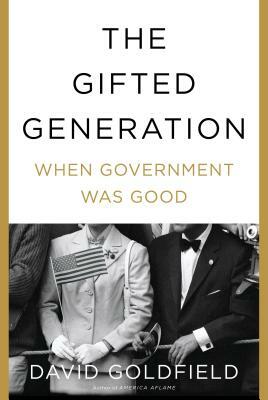 What did you think of The Gifted Generation: When Government Was Good?